One of the things I immediately found compelling about triathlon was the camaraderie that comes with the TRI community and the friendships that can form around common training, events and goals. No doubt that training and completing events with friends makes it that much more fun! I was fortunate in that I had a number of friends that trained with me and some that also opted into events. Special call outs to @KirkMac for your support, encouragement and training advance. Bernie for “going breathless” at CAC spin classes. Anne, Beth and Erin for joining me on those early morning runs and Heather for open water swim practices and later season training. 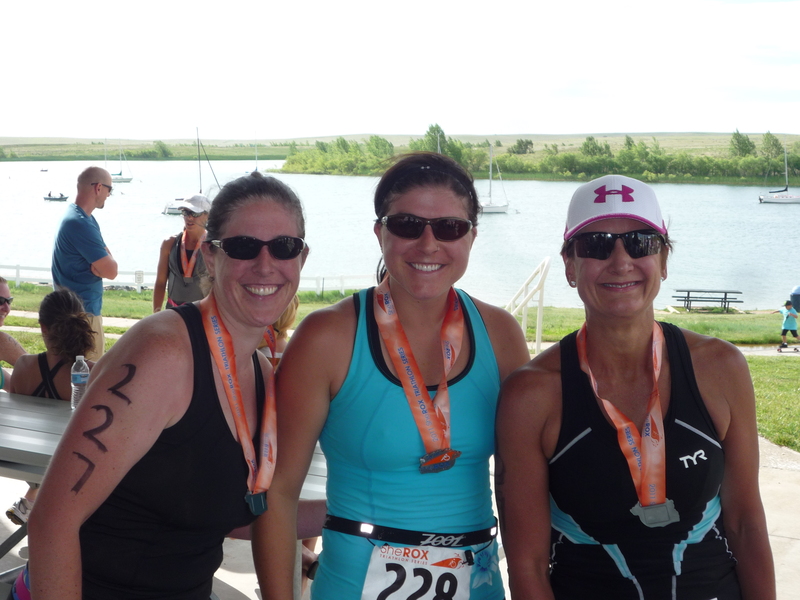 Erin and her sister Heather are natural born athletes who have competed in triathlon for several years. Training with folks that are experienced, younger, stronger and faster than you is a great way to take your game to the next level. Also, at least for me, creating a core group of committed training partners helps ensure that you stick to your training calendar. Training and participating in events as a “lone ranger” may work for some but I enjoy traveling the road with other like minded athletes (still feels weird calling myself that). This entry was posted in It's NOT the Destination...It's the Journey and tagged Multi-Sports, training, triathlon. Bookmark the permalink.